Susheel Abraham (Sue) was born and raised vegetarian in New Delhi, India. 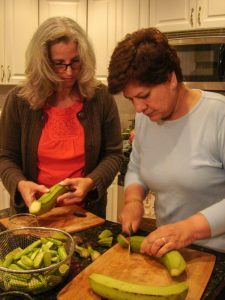 On her family’s farm, she learned the art of cooking delectable homemade meals. When Sue married, her husband was from Karala, India, which is in the southern coastal region of India. The cuisine from that region is much different from that of Sue’s native New Delhi. 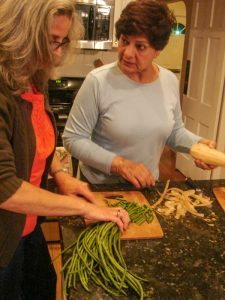 She quickly embraced the cooking styles and techniques of that region, readily incorporating numerous new recipes into her repertoire. Eventually, Sue and her family found their way to the United States, via England and Canada. In 2000, Sue and I met through a work-related function. We immediately fell into a lush conversation as we became acquainted. 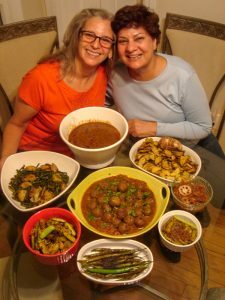 After we dismissed with the standard ‘getting to know you’ chat wherein we discovered that we lived less than three miles from each other, our conversation went to a subject that is most near and dear to our hearts…cooking. 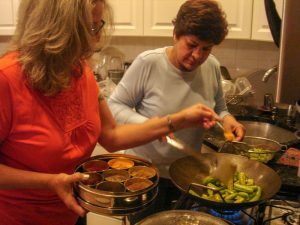 It became quickly apparent that Sue was not only Indian, but an extraordinary Indian cook as well. 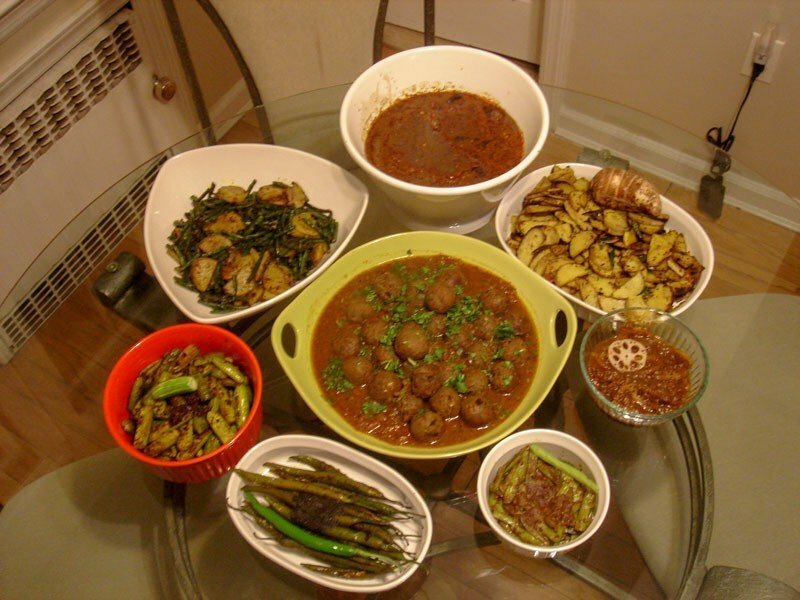 I confessed that, although I pride myself in being a fairly decent cook, I had failed miserably in cooking Indian food, which had become my favorite cuisine. In her typical hospitality, Sue invited me over to her house two weeks later. We were to meet in the morning, in time for the Indian grocer to open. There, we would peruse the produce for purveying authentic Indian vegetables that are not typically served in Indian restaurants. We combed the dry goods aisles for daals and flours. 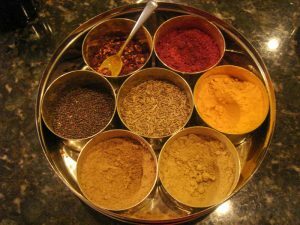 We went to the housewares aisles, where I selected my masala tins, followed by the spice aisle to fill them. Then back to her house we went. 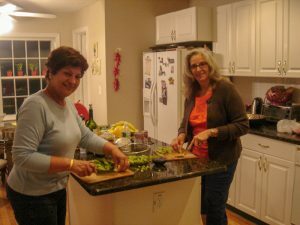 We chopped, we peeled, we cooked, we chatted, we laughed, we cried (I had just found out only several days prior that my husband and I were divorcing and Sue had a really nasty cut on her hand, leaving her radically bandaged and disadvantaged regarding knife skills as a result). And after many hours of standing over either the counter or the stove, we sat down to break bread and share the meal we had so lovingly gathered and prepared. I knew then that not only had my healing begun and that I was going to be alright, I also knew that an amazing life-long friendship had just been forged. Over the years, we have continued to gather in very much this same way. 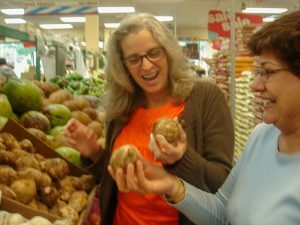 Each time, we scour the Indian grocer and decide what we will be cooking. Sue has taught me the skills and techniques so that today, I too, might be considered by some have become a fine ‘adopted’ Indian cook. Thanks, Sue. You are not only a most-treasured friend, you are probably one of the finest cooks I know! Be sure to come back next week when I share the rest of the recipes!